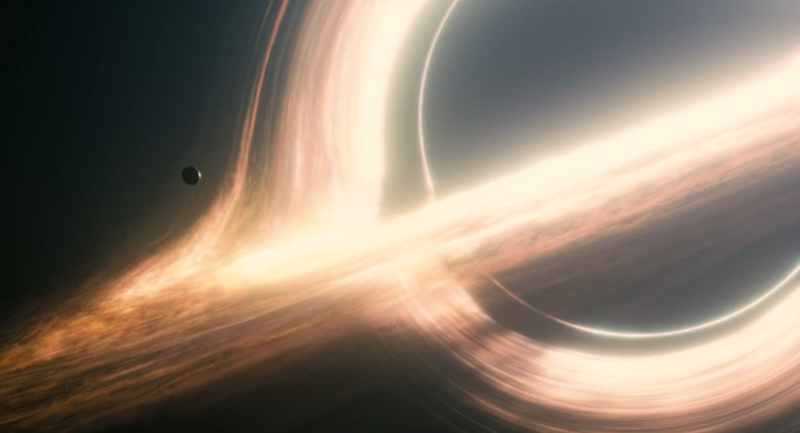 Interstellar was a breath-taking, extremely thought-provoking and emotional heart-wrenching clencher. If you haven’t seen this film yet, I highly recommend it. I was on the edge of my seat for the entire 3 hours and it never dragged on or felt like it was too long. I was always wondering what was going to happen next and was filled with much wonder, awe and tears. The entire film opens up a world of uncertainty and unanswered questions, but the finale leaves behind a feeling of hope. I’m not sure if there is one main plot, theme or lesson to be taken from this film. One could probably spend an entire lifetime analyzing the direct and subtle themes the director, Christopher Nolan, has presented. He brings various existential questions to the surface on numerous levels, and though this is a film about outer space and time-travel, it is done in a beautiful way that brings it realistically back to our own personal humanity and the perceptual power of relationships. A few major themes Nolan exposes is the state of our humanity on Earth in terms of climate change, dwindling food supply, what is happening in our educational system, and explores the concept of truth. There is a robot named Tars that has been programmed to exert certain percentages of “truth” and “discretion.” He has been programmed to speak 90% truth, because the belief is that sometimes the full truth is not what’s best. Based on events that take place, Tars later becomes re-programmed into speaking 95% truth. This film also tackles love, gravitational pulls, black holes, isolation and the concept of salvation. There are huge parallels among the fields of psychology, science, philosophy, religion and bare bones instinctual survival. Dr. Mann, played by Matt Damon does a suburb job of portraying a single, successful astrophysicist who has been isolated on an ice-filled planet for several years (the concept of time is completely relative, so in essence, we don’t really know how long he was stranded for because our perception of time on Earth is different depending on where one is placed at in a space-time continuum). Dr. Mann was part of a Lazarus mission that was sent out to find another planet for humanity to survive on. He ends up stranded, sends false messages back to Earth stating that he has found an answer, then puts himself in a hibernation chamber, in hopes that he will be rescued. When the Endurance crew, made up of main characters Matthew McConaughey (Cooper) and Anne Hathaway (Brand) find and release him from hibernation, he is literally in awe and thankful that he has been “raised from the dead.” This is an obvious parallel of the gospel of John in the New Testament, where Lazarus was a sick man who had fallen asleep and then was raised from the dead by Jesus. If Jesus truly is flesh and bone, as well as the son of God sent to “save” humanity, then Anne Hathaway becomes an imaged reflection of God at the end of the film when she arrives on Edmund’s planet in hopes of re-colonizing this “new Earth” in order to restore and renew the human race. Dr. Mann’s character, though short-lived, is extremely influential in that he brings to light the true spirit of our paradoxical human nature, of which we have an innate tendency for survival and to rely only on ourselves (whether as a personal “self” or self as humankind), yet at the same time have a deep desperate need for others (whether through relationships with our own kind or a deep longing to connect with a singular or plural entity beyond our imagined perceptions). Even though Dr. Mann ends up reunited with his peers, his extended period of cold, desolate isolation has caused him to go mad and he continues on a solitary journey of only trying to save himself. In a last ditch effort, he attempts to murder Cooper, rejects his human “saviors” and ends up killing himself. The relationship between Cooper and his daughter Murph is another compelling tale of fatherly love and gravitational pull. The passion and hope kept alive by Brand who is in love with Dr. Edmunds, who may or may not be alive on the last planet they have been sent to explore, is another beautiful, yet idealistic notion. She is literally soaring through the universe through endless space and time in a desire to be with her lover. She cannot accept the fact that he is probably dead, but instead is kept fully alive by the uncertain possibility that he may not be so. This is directly in relation to Murph’s lifelong search to reconnect with her father who she felt abandoned her, yet she still holds on to the promise that he will one day return. At the same time Cooper is perilously trying to return home to his daughter and attempts to communicate with her through books and Morse-code signals on a wristwatch, while somehow existing in a tesseract which is almost like a warped infinite bridge or 4th dimension between the 3D world on Earth and the fifth (or assorted multitude of dimensions) subsisting in space. What starts as a story of finding truth and survival through scientific data becomes an ultimate mission and desperate attempt to connect and be reconciled with love.